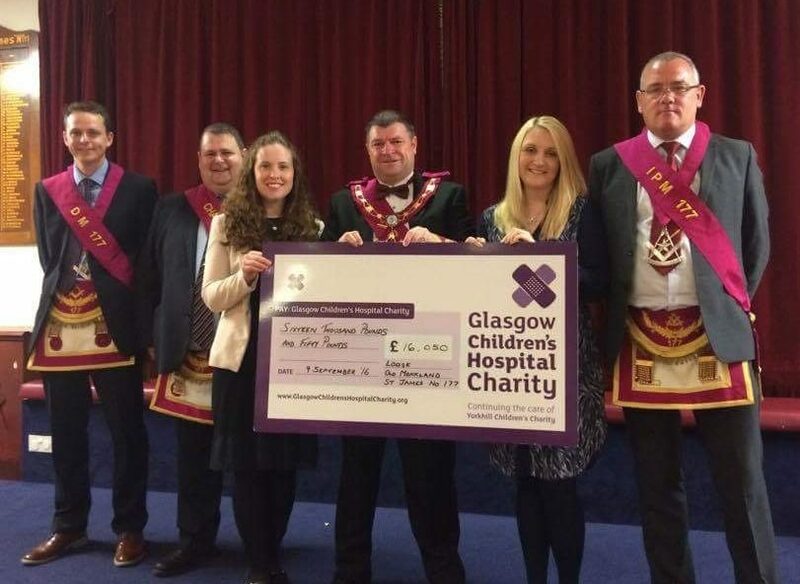 On 14th September 2016 RWM Charles Clarke and the Brethern of the Lodge made the latest cheque presentation to the Yorkhill Glasgow Children’s Hospital Charity, this latest instalment to this super charity was £16,050, making the combined total over the last 9 years a whopping £136,000, what a phenomenal effort by the Lodge for a charity close to their hearts. The charity helps children and their siblings going through gruelling treatments to meet their idols. 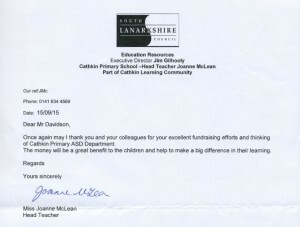 Celebrities such as Ed Sheeran, Beyonce, McBusted, The Script, and The Scotland football team. 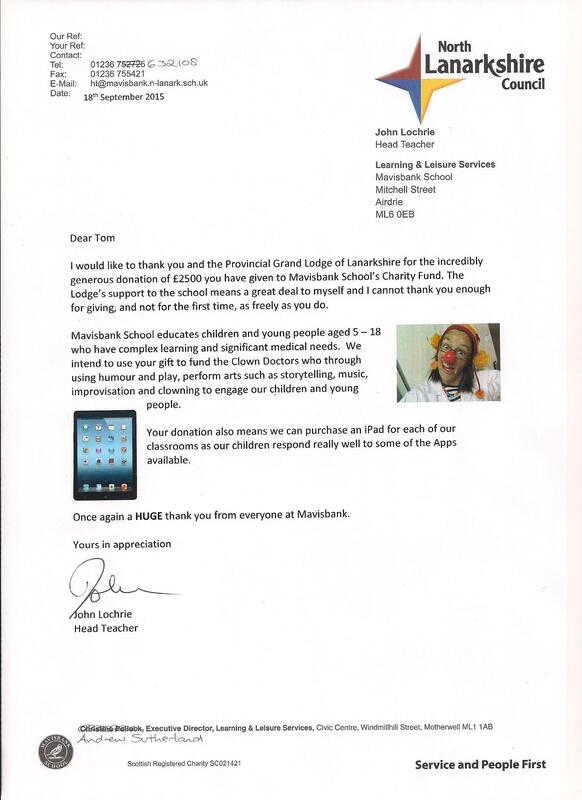 The children are also given the chance to go along to concerts, theatre shows, football games and outings to M&D’s theme park, Blair Drummond Safari park, Zoos, Restaurants or anything they desire to make their lives a little more bearable during this hard time. In 2014 we released our Christmas single called This Christmas. 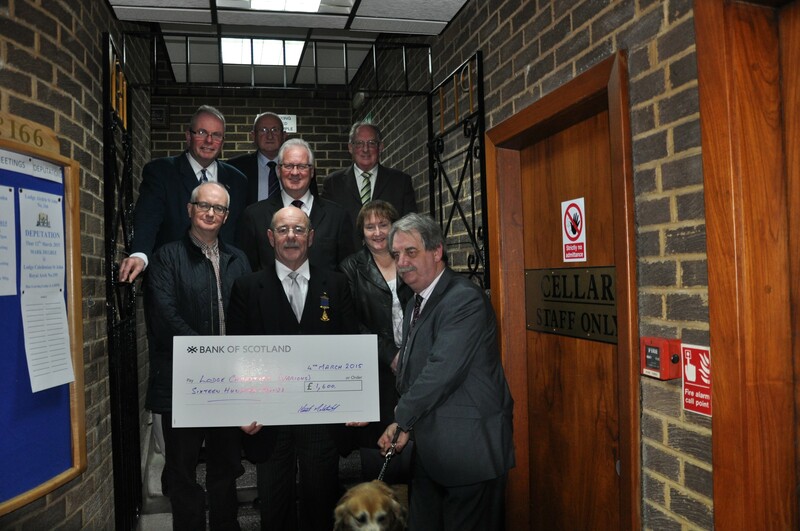 with the help of Motherwell based singer/songwriter Billy Warren. The Charity Single feaures Michelle McManus, Tom Urie, Nicholas McDonald, Scott Peden, Kathleen McDermott, Emily Middlemas, Brian Leys, Bev Lyons, Ashley McCullagh, and Keri Taylor. 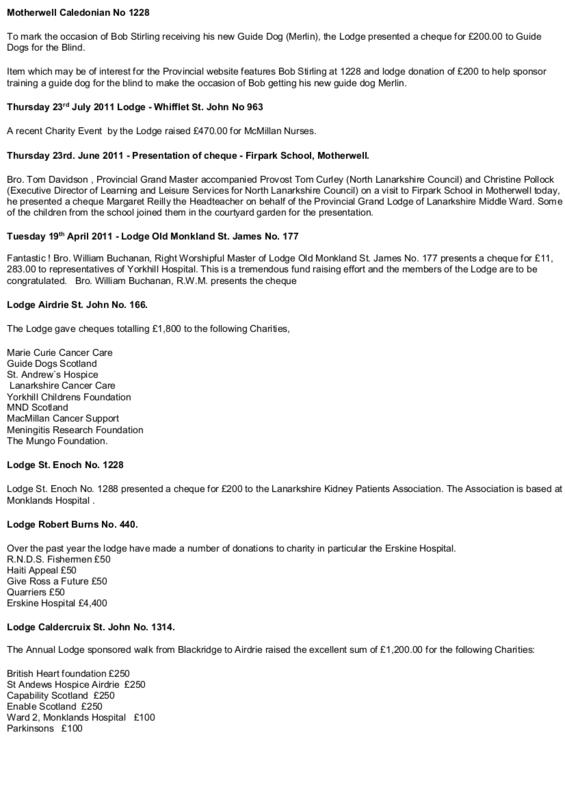 Lodge Airdrie St. John No. 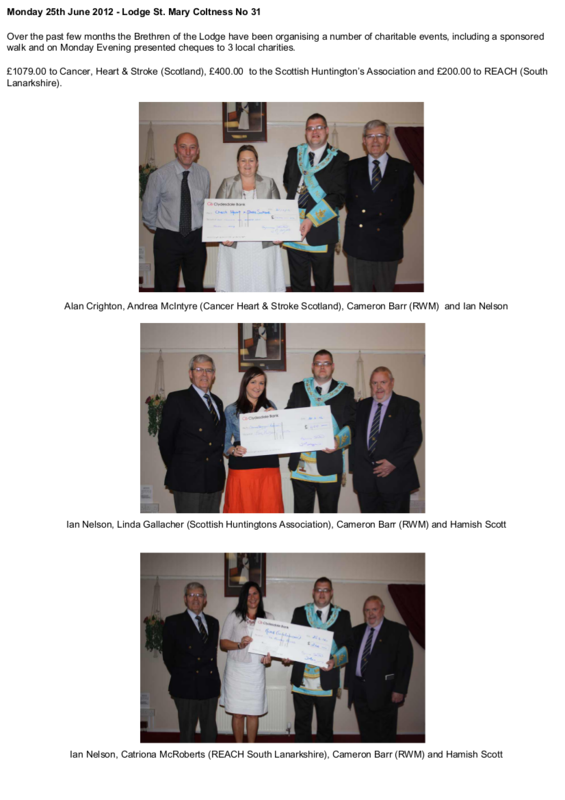 166 presented a number of Charities with Cheques at their Annual Charity presentation evening. 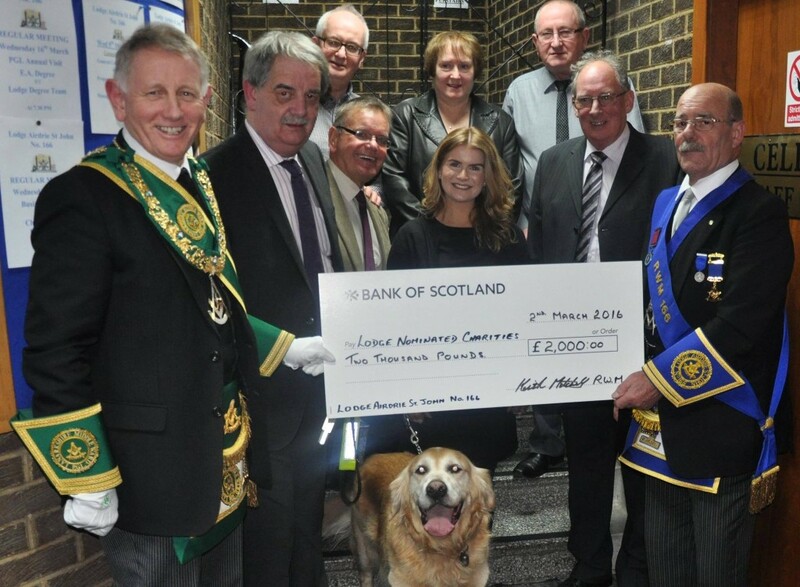 The recipients were Lanarkshire Cancer Care, MacMillan Cancer Care, St. Andrews Hospice, Guide Dogs Scotland, Meningitis Research Foundation, MND Scotland, Yorkhill Children Foundation and the Parkinson’s Self Help Group for North lanarkshire. 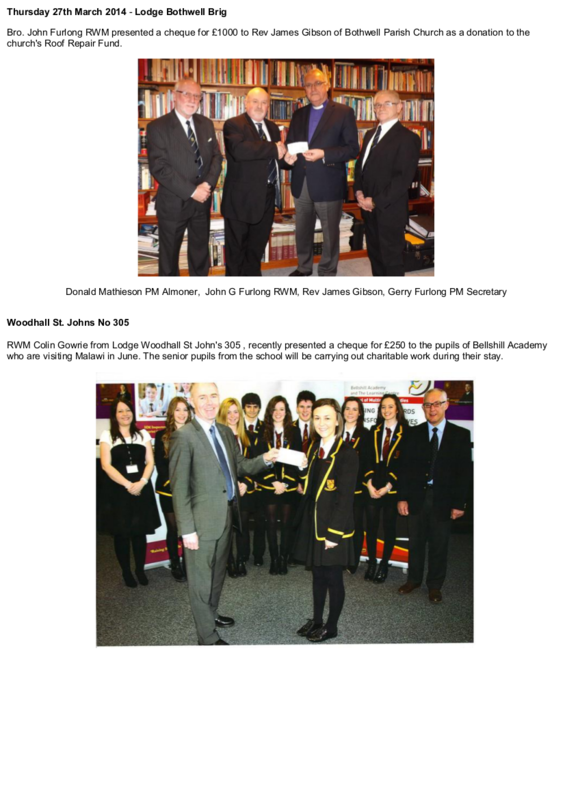 Each of the Charities received a cheque for £250 on the evening from the RWM Bro. 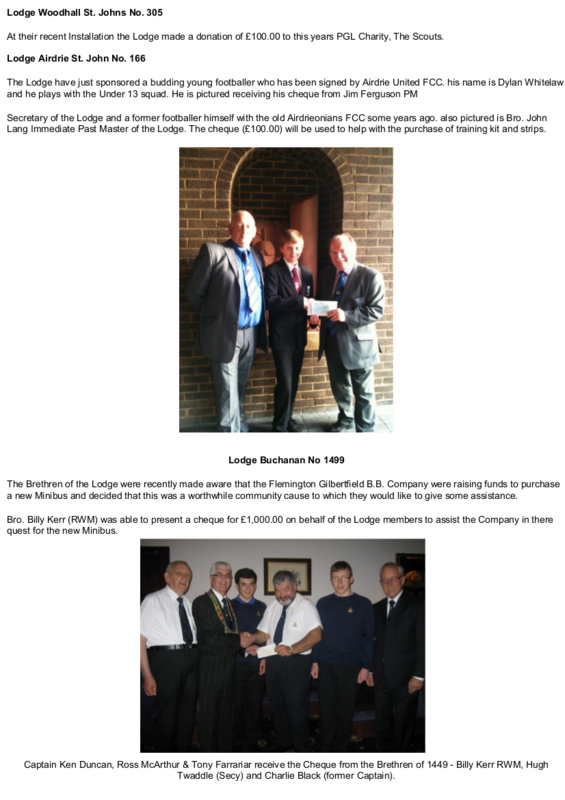 Keith Mitchell and the RWPGM Bro. 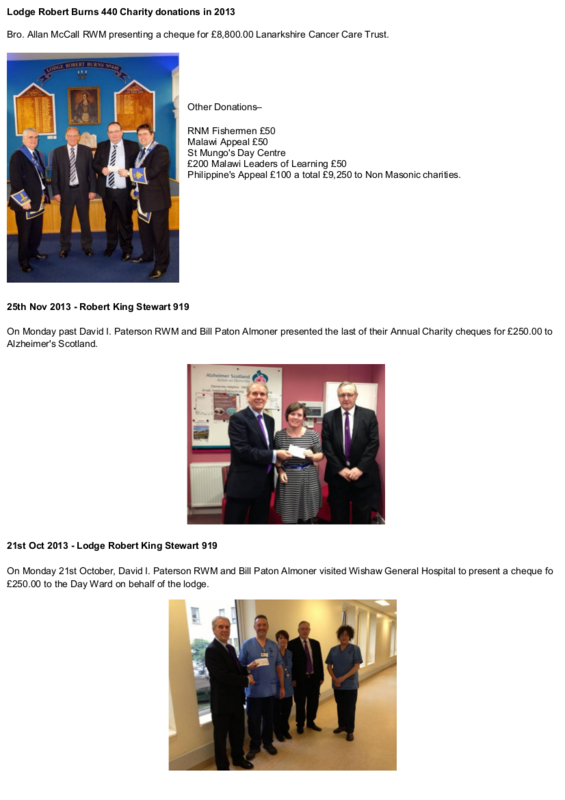 Tom Davidson, an Honorary Member of the Lodge, afterwhich the recipients took the time to make a short presentation about their respective fund raising and charity activities. 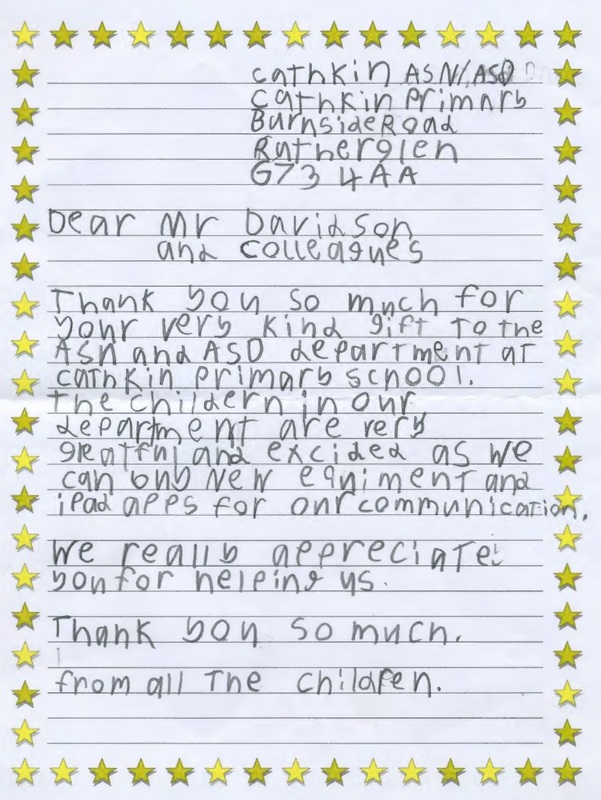 These were very well received by the members in attendance’. 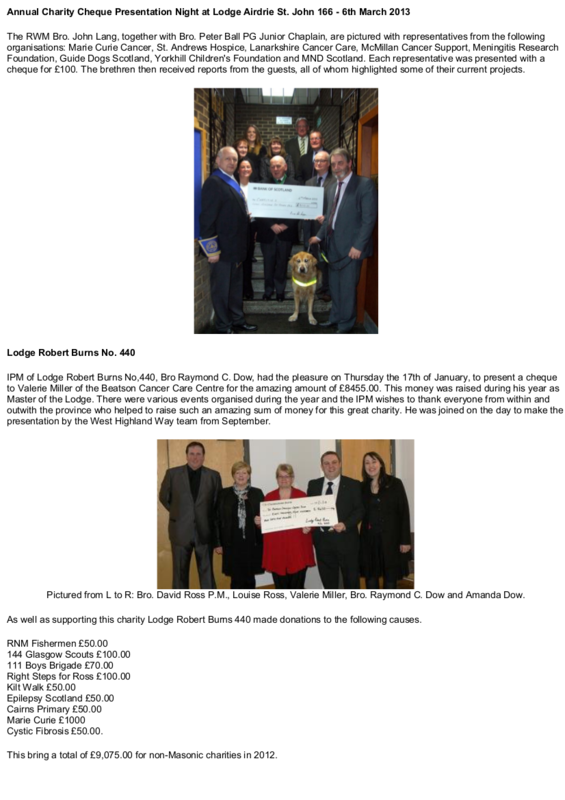 Lodge Robert King Stewart No.919 invited Bro. 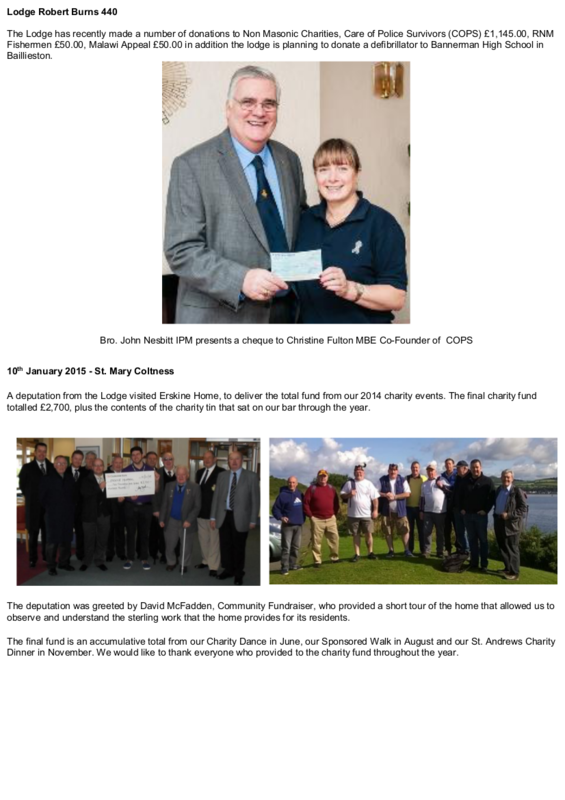 Tom Davidson RWPGM to join members of the Lodge when they went along to Firpark School. 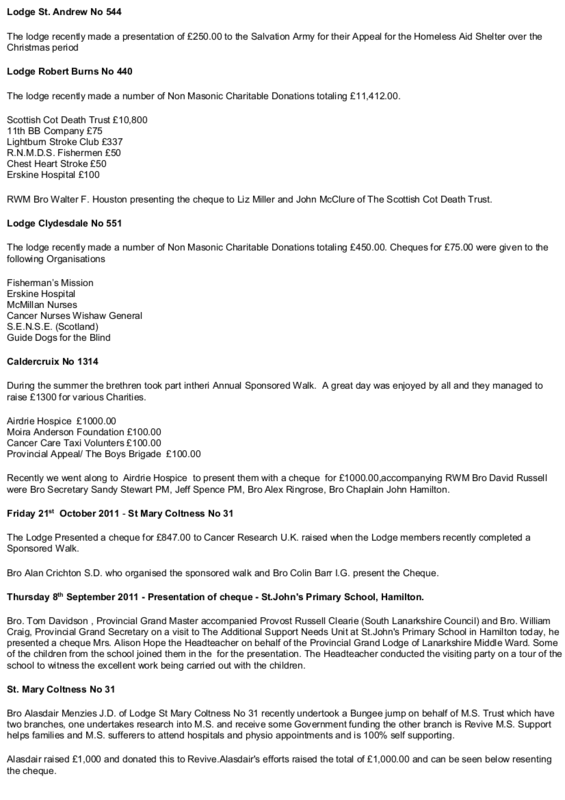 Their RWM Bro. 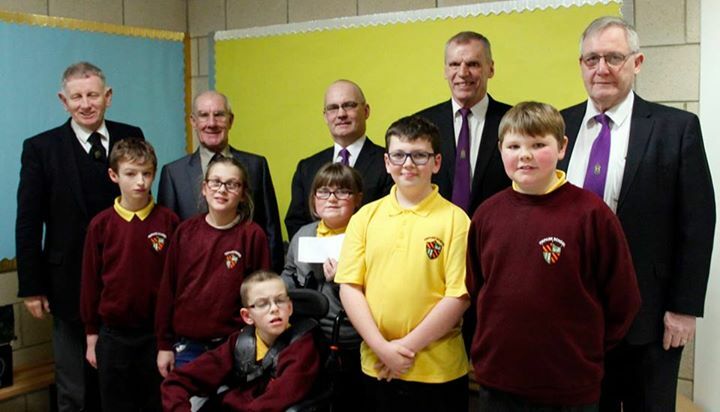 Gary Muircroft on behalf of the lodge presented a cheque for £500 to the school to help with their work with the children. 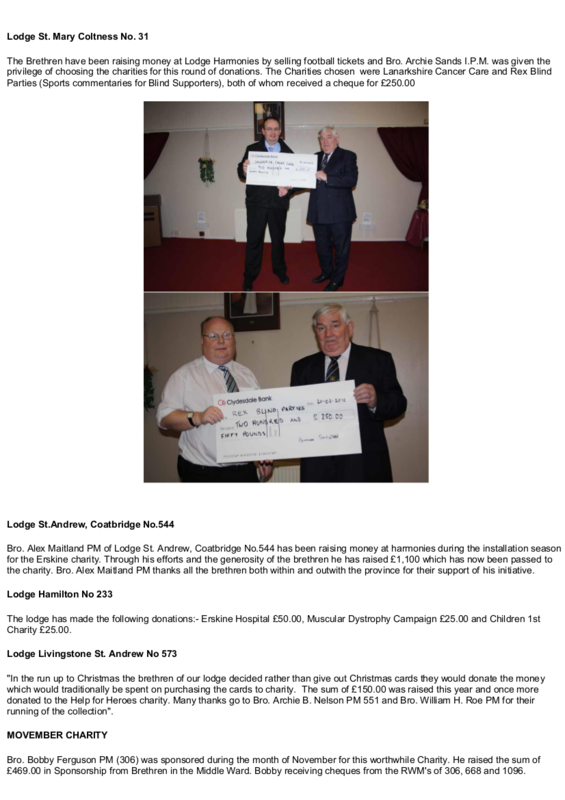 Congratulations to the Lodge for their involvement within the community. On October 4th 2015, John Muir PM 1779 took part in the 10k Great Scottish Run, completing the course in 55.24 minutes. 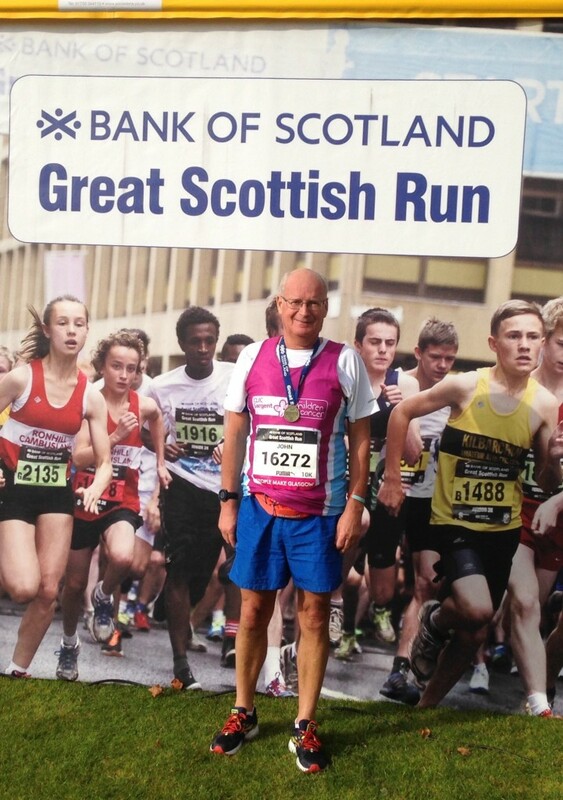 John raised £1577.00 for Clic Sargent, a charity that gives care to children with cancer. 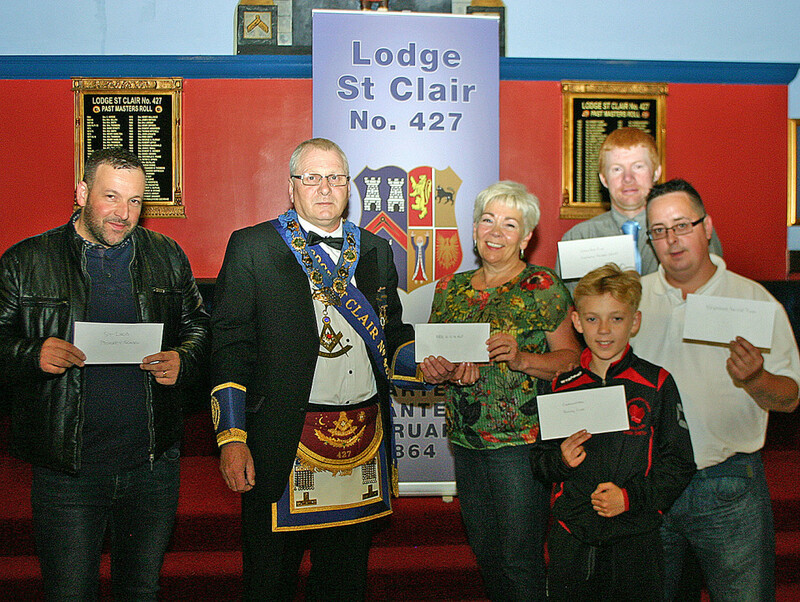 Freemasons and friends in the Cambusnethan area raised a total of £1,500 for local charities as a result of a Race Night organised by Lodge St. Clair No 427 in the Masonic Hall. 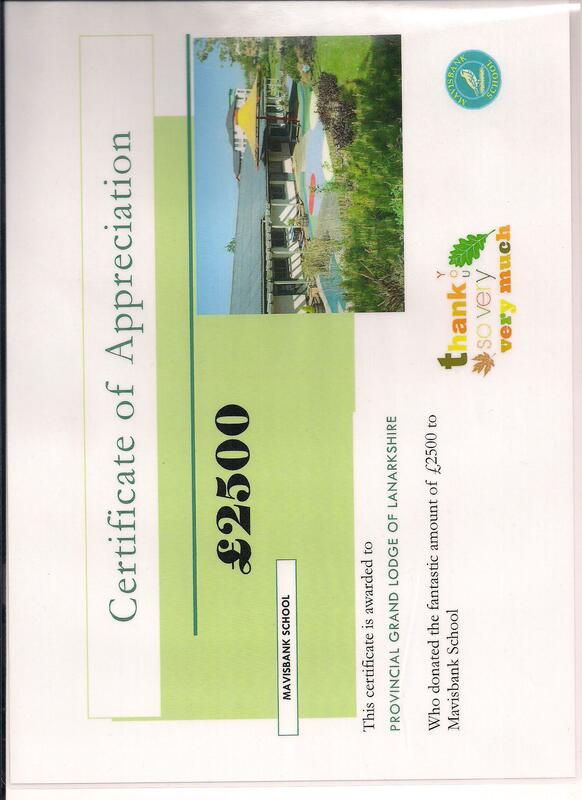 The main beneficiary was the local church-community venture ‘Made 4 Y in ML2’ who were presented with a cheque for £500. 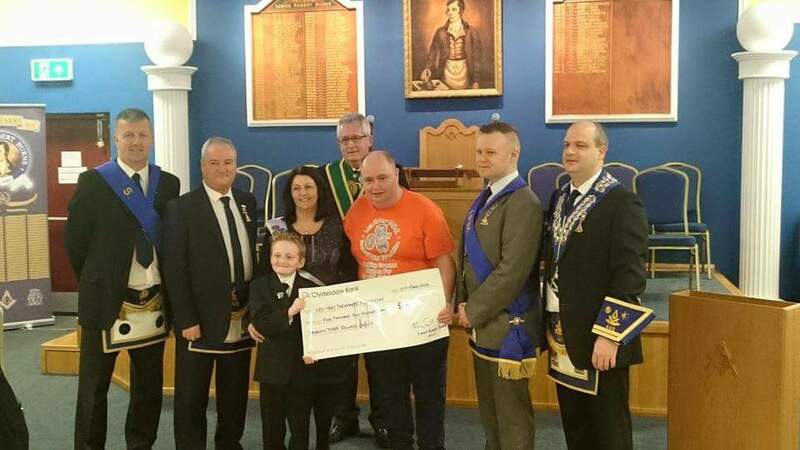 Cheques for £250 were handed over to representatives from the Anchor Boys attached to Coltness Memorial Church, Greenhead Moss Group and Newmains Amateur Boxing Club. 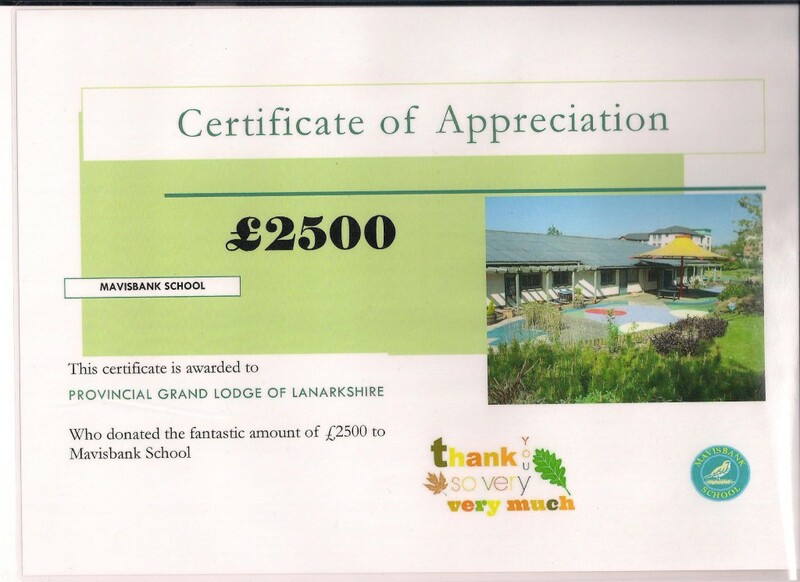 A further cheque for £250 was presented to St. Lucy’s Primary School in Cumbernauld which caters for children with special needs. 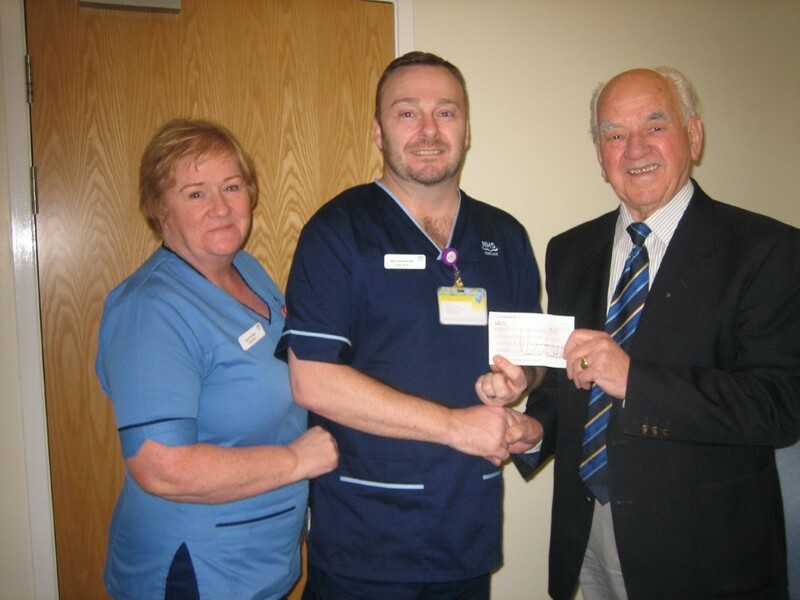 The lodge continues to be involved in their local community and has for a long time been a supporter of project in the Cambusnethan area. Liam Felvus (back row) from Greenhead Moss Group, John Watson (Anchor Boys) and young Gordon Smith from Newmains A.B.C. 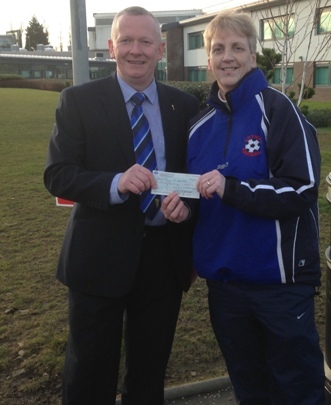 RWM Brian Martin of Lodge Whifflet St. John 963 presents a cheque to Elaine Mckenna, Head Coach of Special Olympics GB football team who are raising funds to compete in Special Olympics World Summer Games in LA later this year. 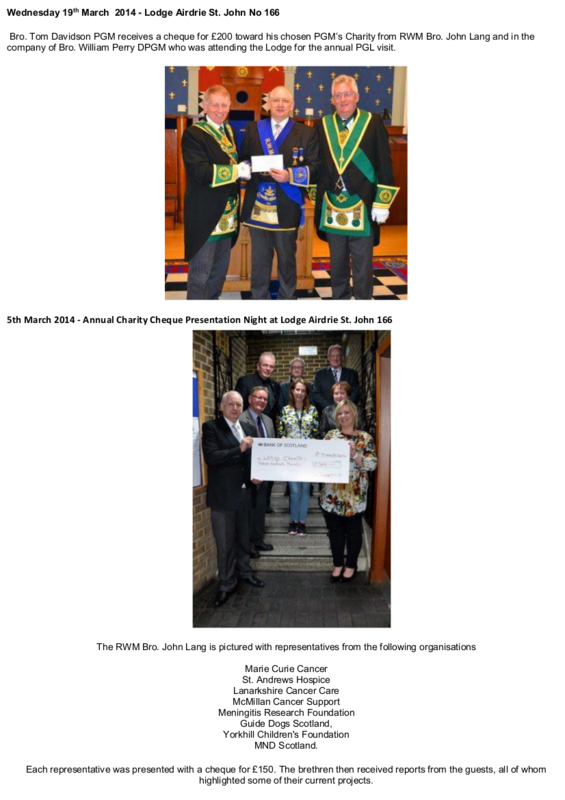 The money was £52 from the ’88 Travelling Gavel’ charity collection which was supplemented to £100 by Lodge Whifflet St. John. 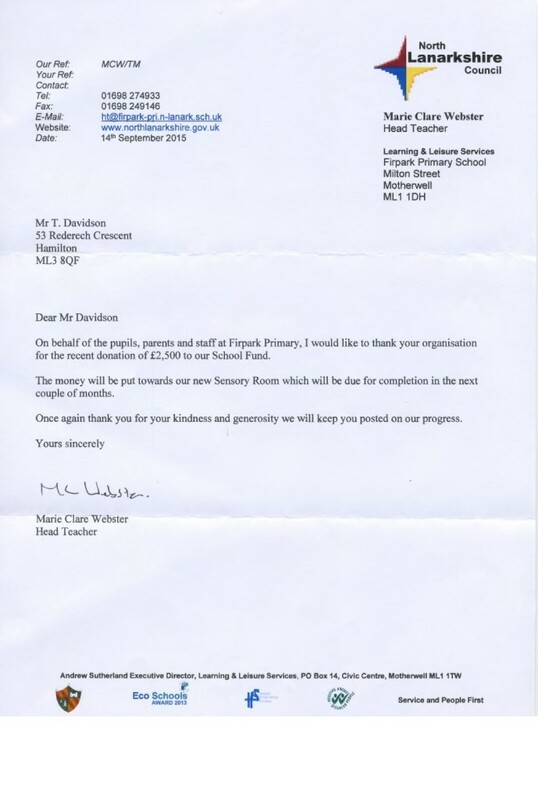 Special Olympics is an organisation which promotes sport for adults with learning disability and it was felt this was a worthwhile cause for this donation.